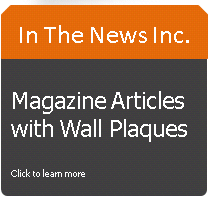 Why preserve magazine articles with a wall plaque? Appearing in a magazine publication for achieving something great, whether in an innovativeness competition, writing competition or a heroic act, is unusual for many people and when it happens they want to show case it to everyone to keep it alive. Many people will frame the magazine by cutting or keep it somewhere among their precious stuff but are these the best ways to keep the spotlight on? The truth is that they can preserve the memory of that great day but they don’t quite catch the eye or encourage the owner to keep flying high. A wall plaque is the best package that will keep the day alive because it looks attractive for any viewer and keeps the owner on their toes as well. As aforementioned wall plaques aren’t as simple as frames. They need more input in order to get excellent results and while with the right materials and right information on how to go about it one can easily get it done on their own, it is a job better done when left to the professionals. A good wall plaque company should have all the resources and expertise necessary to create something worth showing off to everyone from executive clients to colleagues and friends. Wall plaques are a great way of commemorating achievements and as such it would only be just to have them in a place that everyone will appreciate it. Having a wall plaque next to trophies and medals received before is an idea for schools and businesses who want to attract clients. For plaques that will be kept at home doorways and hallways have a reminding effect on the owners especially when strategically displayed. They could also be kept along with old family pictures for people who like telling stories about the family through photos. With a great-looking plaque to see every morning people definitely keep great memories of achievements alive. In The News, Inc. provides a specialty lamination and engraving service for businesses and individuals who have been featured in the media. Our custom wall plaques are the perfect way to professionally preserve your publicity & commemorate your achievement. 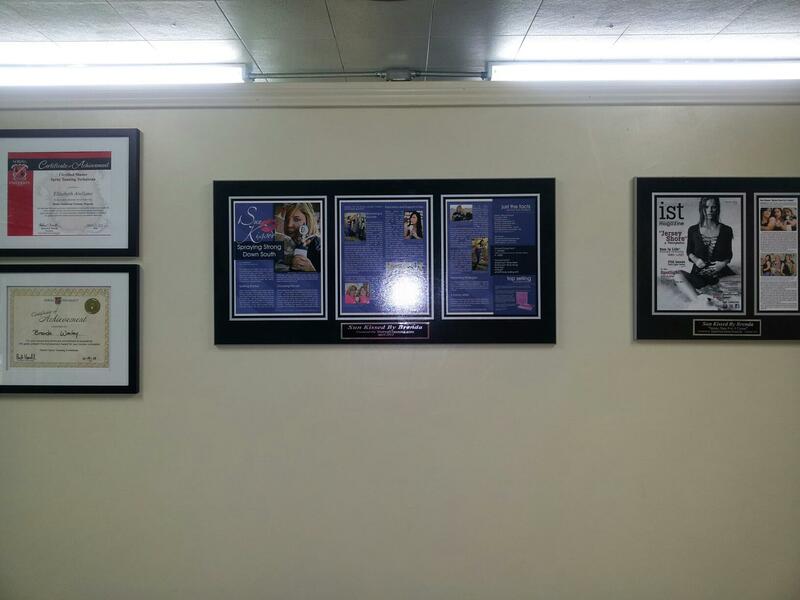 Whether you are the CEO of an established corporation, a flourishing local business owner, or an individual whose been spotlighted – we offer a handsome and dignified way to mount and display your featured article.